User Name: The user name. Confirm Password: Must match the password. Language: Choose a language for the user. Time Zone: Time zone specific to the user. Status: Used for call center and operator panel. Contact: The users contact. Is used in a phone directory or Apps > Contacts. 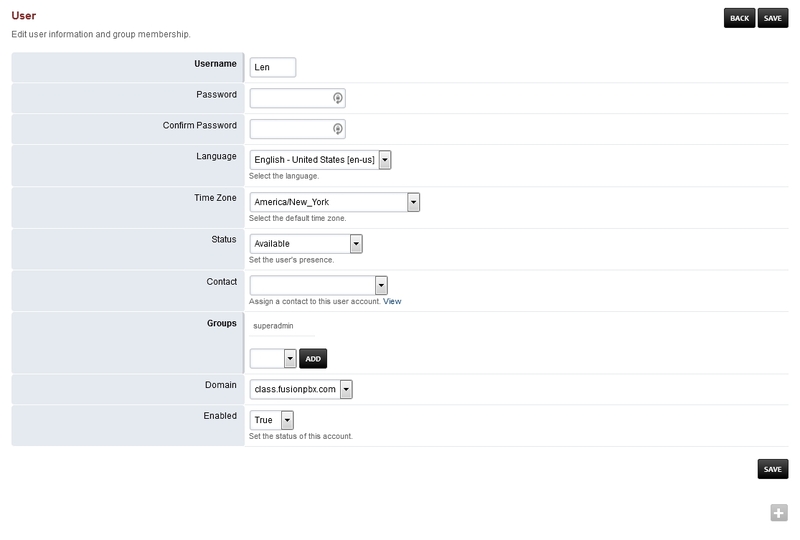 Groups: Group the user is in and relates to what the user can see and do in the menus. Domain: Domain specific to the user. Enabled: Enable or disable the account.